In 76 countries it is a crime to be gay. In 10 of these countries it could cost you your life. What if your love was illegal? This is the question 825 Lush stores around the world are asking their customers as they kick off their new campaign to tell the world that #GayIsOk. The campaign, which runs from 25th June - 5th July, aims to raise not only awareness of equality for the LGBT community, but £250,000 though the profits of their new fundraising product, all of which will be donated directly to associated charities to actively help millions of people worldwide. Their fundraising product, the Love Soap (£4.00), is a gorgeous bar of gold, sparkly soap scented with the classic 'Love' fragrance, a divine blend of lemongrass, bergamot and Sicilian lemon oil. Each bar is embellished with the #GayIsOk slogan and profits go straight to campaign teams around the world, in particularly 'All Out' a charity which strive to achieve equality, legalisation and protection for the LGBT community and their families. However, the most shocking element to this campaign is that Lush are unable to sell this product in almost 100 of their stores due to anti-gay legalisations. 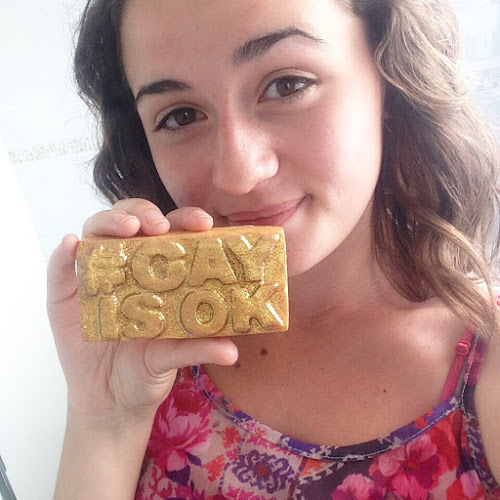 This is why we need to help show the world that #GayIsOk. For more information on the campaign head to the Lush Website, or your local Lush Store.